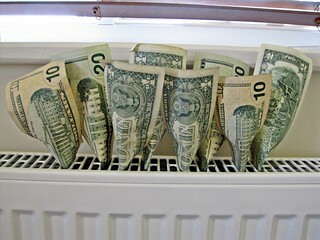 It seems like it’s either hot or cold, so the heater or air conditioner are running constantly. Or you forgot to turn the heater of when you left for work, now the room feels overheated. With all of that usage, it can be pricey to keep your home comfortable 24/7. BCS Heating & Cooling recommends thinking about how a smart thermostat can help reduce your Prescott heating and cooling costs, while making your home nicer and easier to live in. Smart is in the name - Smart thermostats can help remove human inconsistency and error through learning. They can learn when you get home from work, when you go to bed, and what temperature you like. This allows the thermostat to build a profile around you and your family and adjust the temperature based on those values. This can significantly reduce your energy bills, especially if you forget to turn off your heater or cooler before leaving for work. Pre-start - No one likes to come home to an uncomfortable house, but at the same time, your house will feel stuffy if the heater runs all day. Smart thermostats can preheat your home, giving you all the comfort of a climate controlled home for a fraction of the cost by bringing the house to the right temperature just before you get home instead of maintaining the temperature all day while no one is there except maybe the dogs. Pets like them too - The previous two examples showed how a smart thermostat can help someone whose home is empty for most of the day, which isn’t the case if you have pets. Pets need the right temperature to be happy, so why would you let your home get too cold or too hot when you have pets inside? Well, you don’t have to. Smart thermostats can have a minimum and maximum temperature setting, and will always keep the temperature in that range. Still a great power saver, and great for your pets too! Know everything about your home - Your thermostat can keep logs and information about lots of things, like usage time, efficiency, and even how well your home holds in heat. Plus, you can compare it to previous months to see where you can teach your thermostat to save more money. Control your HVAC with your cell phone - Another great reason to get a smart thermostat is that you can adjust the temperature from anywhere. So, if you happen to get off work early you can still preheat your home. Or maybe you want to turn off all smart features during a trip? Any internet connected device, like cell phones, tablets, and laptops can view and adjust your thermostat through a simple app. It’s easy to use - The great thing about smart thermostats is that they just work. If you don’t want to have to adjust and set up hundreds of things to manage your home, you can still get a smart thermostat and enjoy many of the benefits. Simply plug in the thermostat and it will automatically start watching when you turn it on and off. It’s as easy as that. You get more money - The whole idea behind a smart thermostat is that it can save you money by being more precise and keeping the temperature more consistent. Depending on how you currently heat your home, a smart thermostat could be a game changer for you. Smart thermostats can be a wonderful and cost-effective addition to any Prescott home. We’re sure that you’ll see a major difference, both in comfort and in your pockets. Call BCS Heating & Cooling today to talk more about how a smart thermostat can help you with your home heating and cooling bills. We can be reached at 928-445-9700 for more information.